My new book “Iceberg Ahead!” – an excerpt | Open Our Eyes, Lord! As it turned out, Paul ran into massive opposition there. 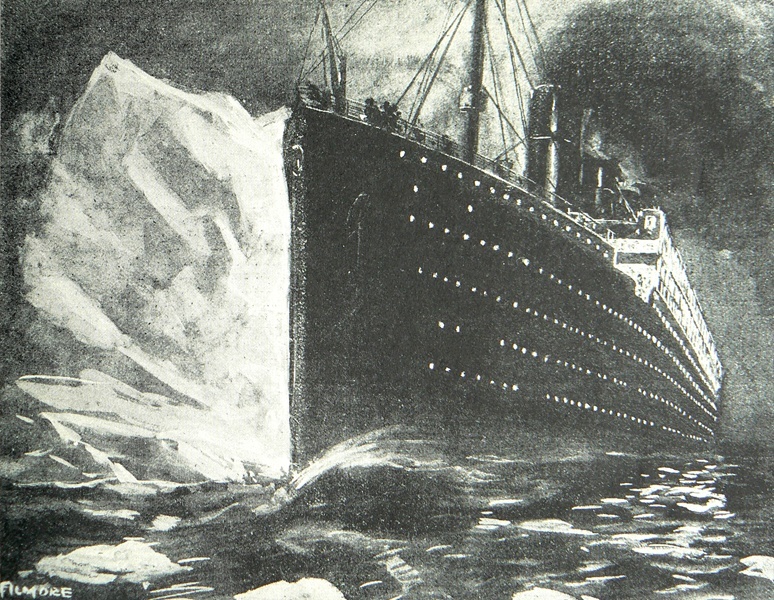 To extend the Titanic image even further, Paul rammed into one iceberg, but did not sink; he then limped along and smashed into a second one; and again, and again, for a total of, by our count, eleven distinct collisions, any one of which could have finished him off. Although in theory Paul might have spent years in Macedonia, after this string of disasters he was unable to continue and had to retreat. Part of Paul’s legacy is to help us interpret what it means to follow God’s lead, only to crash into cold, hard reality. And for some of us, even one small iceberg is plenty to quash our ministry. Tina always knew she’d be a missionary, ever since she saw the slides of South America in her church. She took a degree as a nurse practitioner and, overcoming her stage fright, spent a year raising her support. Finally, the big day came: her church officially commissioned her to go to Brazil as a medical missionary. She flew to São Paulo and spent a year studying basic Portuguese, which she managed as well as any of her fellow novice missionary. Her mission agency deployed her to a rural clinic. For six months she gave inoculations, comforted frightened children, gave talks to mothers about sanitation, and taught Bible studies to a group of Christian women. Tina was living her dream, she was serving in God’s army! Until her dream was crushed by a tiny insect. It was rainy season, and malaria was breeding. A mosquito bit Tina on her forearm, leaving tiny microbes. A few weeks later, and she felt a headache coming on. During that night she started shivering. The next day, it turned into a full fever. Malaria is usually not serious, but Tina already had liver issues that led to complications. That crisis passed, but like many sufferers, she relapsed with malaria some months later, and had another alarming attack. It fell to her field director to break the heart-wrenching news to her: the mission board had ruled that she was physically unable to continue her work; everyone was deeply sorry, but Tina would need to return home. For good. What if? Tina mourned. What if she had sprayed herself a little more carefully with repellent? What if she had left her house a few seconds sooner instead of running out late for her meeting? What if she had worn the other blouse, the white one with the long sleeves? What if God had just kept the mosquito in a holding pattern until she had a chance to pass? Full-time or part-time; children’s workers, youth leaders, pastors, missionaries, teachers, writers, church planters; and as we shall see in great detail, even the apostle Paul; any one of us might at any moment ram into cold, hard circumstances, leaving us to wonder where to find God in the dark of night. When the crash tumbles us out of our uneventful journey, where do we turn? Paul walked away from eleven collisions on his first Macedonian tour, which was small portion of the dozens of hardships he faced. After evacuating Berea, he lived to write all his New Testament epistles, and his best fifteen years of ministry were still ahead of him. But even Paul was done in by his last ‘iceberg’, when he was beheaded by the Emperor Nero in the 60s. wow – that looks great Gary – we’ve had our share of icebergs, redirects – seeming roadblocks – I look forward to reading more! Gracias por escribir sobre este tema. Estoy a la expectativa de la publicación.